Of all the things I love about makeup and as much as I am a foundation junkie, I'm not a big fan of concealers. They sounds wonderful in concept but once on my face it's either too cakey, no coverage, accentuate my flaky bits among a whole basket of other issues. Yet I'm always drawn to them, maybe it's that rebellious streak in me that insists the perfect one is out there somewhere. 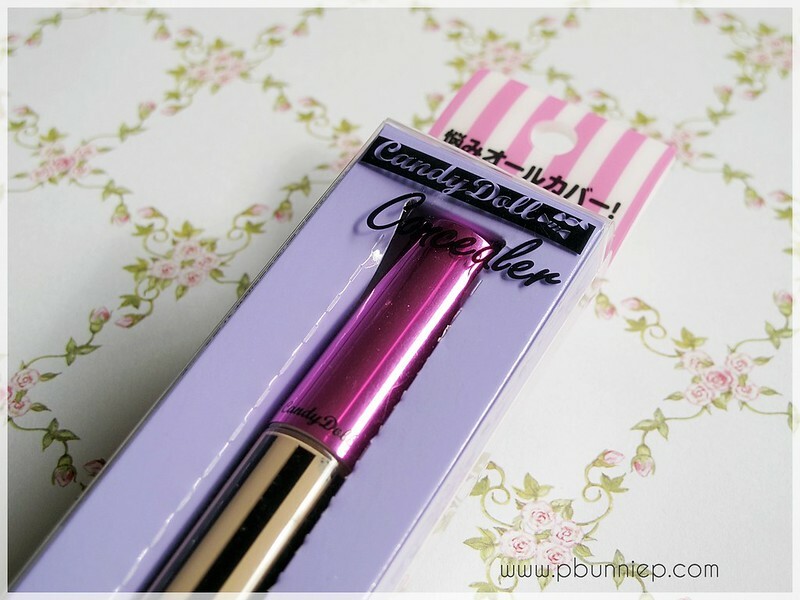 Having tried and been happily impressed by a few Candydoll products, I decided to give this concealer a go. Produced by Japanese model Tsubasa Masuwaka, this item is part of the Candydoll's base range consisting of primer, foundation, concealer and powder, everything you need for that perfect flawless start to your makeup. Now gyaru models are not known to wear their makeup subtly so I was a little weary that this would be cakey and much too heavy on my skin. Luckily despite having medium-buildable coverage, this concealer felt lightweight and was quite easy to blend. With the slant tip applicator I can use this for both underneath the eyes and also on any spots or blemishes on my face. It was surprisingly easy to wear and actually needed much less work/blending that other liquid products I've used before. This concealer comes out much thicker that what you'd expect from a tube, the texture and feel actually reminds me of the MAC Select Coverup if you're familiar with that (Moisturecover was too sheer and Studio Cover was too thick). I know it's certainly a favourite of many people as it's the perfect in-between product for daily wear. I like how this Candydoll concealer sets into a satin finish which meshes invisibly with my foundations, my previous love (Canmake concealer) was a bit too powdery and thus didn't always look right especially underneath the eyes. No troubles with accentuating any flaky spots or causing breakouts for which I am very glad since there's nothing worse than making your blemishes worse when you're trying to hide them. As for wearability, I wouldn't say this is particularly long lasting but it will certainly carry you through a good 4-5 hours without any issues (in this aspect Canmake holds on a few more hours). Occasionally I do find that my spots peak through again so reapplication during a long day will be necessary. Altogether though, I do think this is a nice everyday concealer. 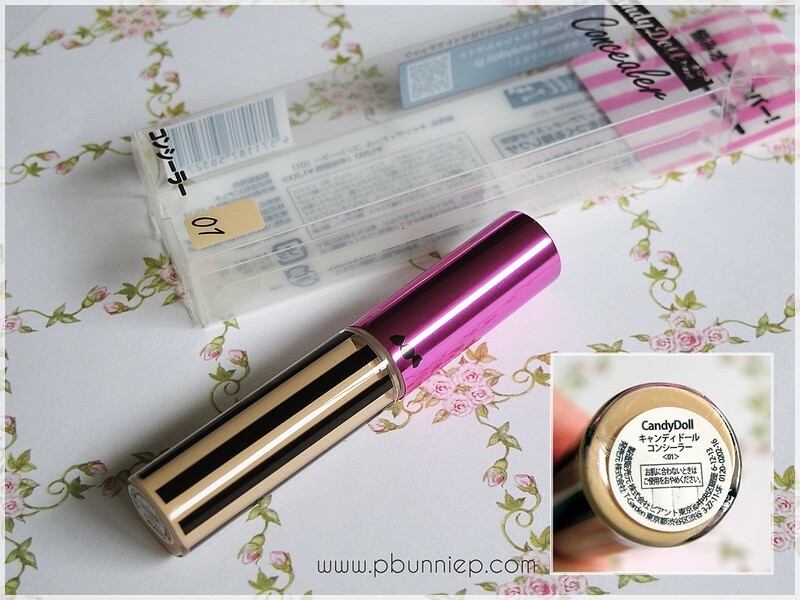 It impressed me with it's high coverage and easy blendability but do wish it was just a bit more long wearing. 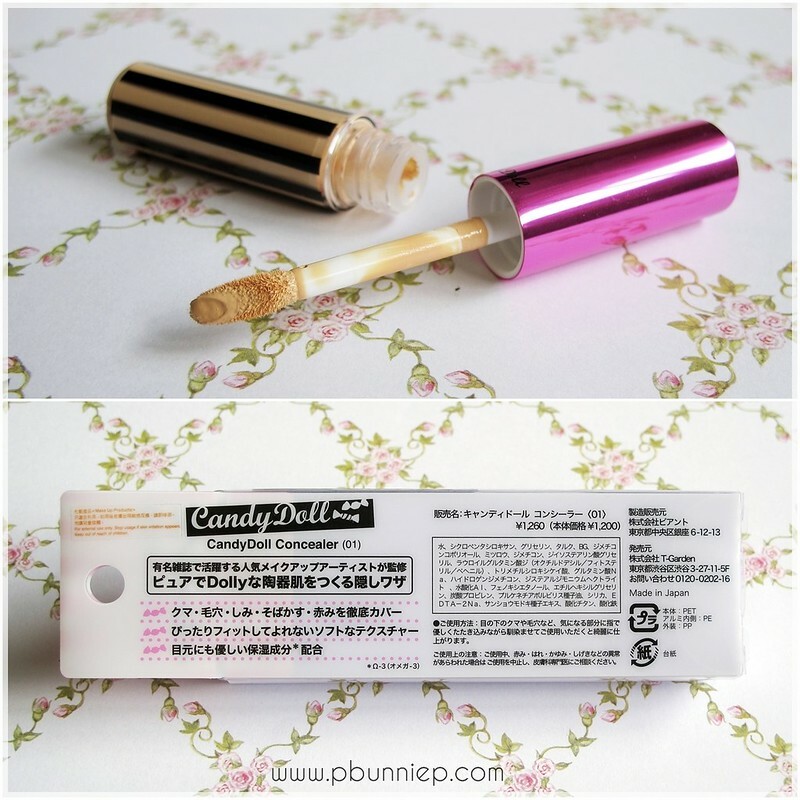 As long as you're not planning to put it through a marathon, I think the Candydoll liquid concealer is a great addition to your makeup collection. 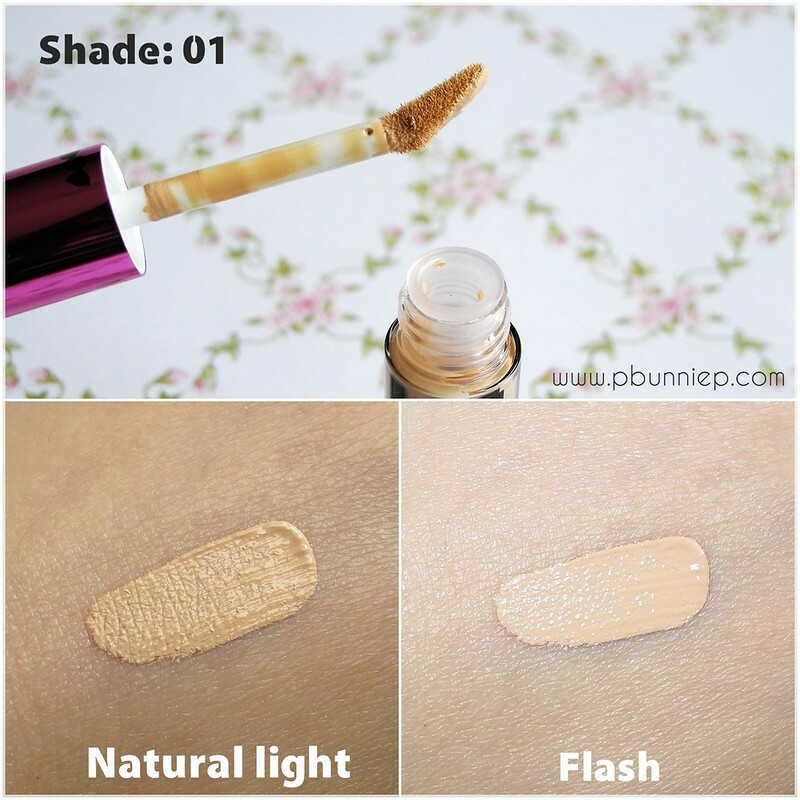 Perfect for those with normal or slightly dry skin seeking skin friendly everyday coverage! I'm eager to try out the liquid foundation when I can find it at a good price. 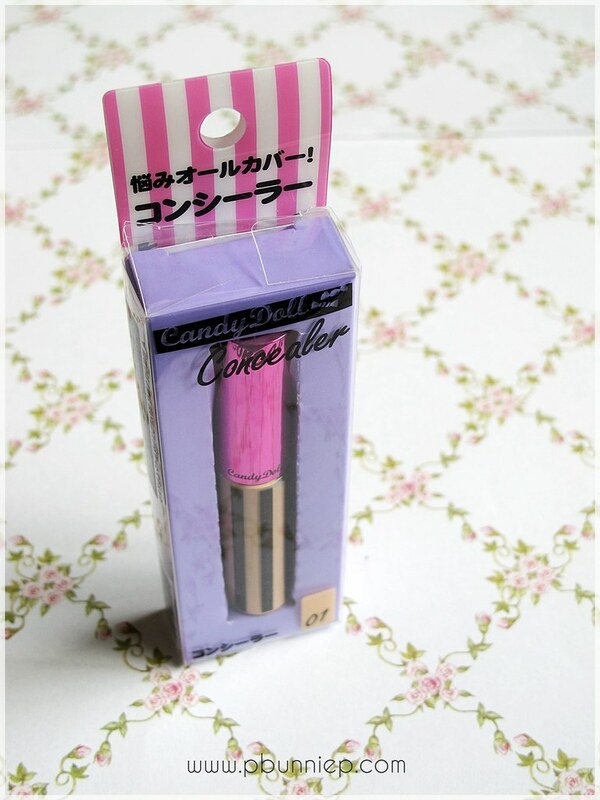 What do you all think of Candydoll products? This looks great!! Do you think it would be a good color for someone with fairer skin? I am a little paler than you! I'm gonna have to say no, I'm already using the lighter shade of the two available and it's definitely darker than I expected. It blends in fine for me but I think it may be too dark for you Snow White! the packaging would have brought me already! aha! I still have a lot of concealer to use up, but since you said this is nice for slightly dryer skin types, I wouldn't mind giving this concealer a try! It's definitely more dry skin friendly than I thought it would be. Also the Maybelline Fit-Me concealer is fabulous for dry skin as well I find.